Fire extinguishers are designed to discharge water, foam, or gas in an effort to put out fires. While many fire extinguishers are stowed under countertops or hang on hooks, a specialized cabinet is always the preferred storage solution for these devices. Ease of access is essential when it comes to responding to a fire. If the extinguisher's existing location is difficult to get to, or has left the device susceptible to vandalism, then you may be unable to use it in your time of need. We always recommend clients invest in fire extinguisher cabinets for the portable extinguishers placed throughout their buildings. The right fire extinguisher cabinet helps protect your building, as well as its inhabitants. Fire extinguishers were first placed inside of locked cabinets in order to protect them from vandalism. To this day, this remains the main purpose of extinguisher cabinets. Most extinguisher cabinets cannot be opened without a key. This means a glass pane must be broken in order to reach the fire extinguisher. Equipped with special security measures, including alarms that emit a siren sound when the glass is broken, the cabinets we offer are more effective at keeping vandals out than ever before. If you're interested in adding extra fire extinguishers around your premises, make sure you don't forget necessary cabinets. When you need a new fire extinguisher with a cabinet, we have you covered. Searching for a Fire Extinguisher with a Cabinet? Over a certain amount of time, fire extinguishers gradually lose pressure. This is because the seal of the neck weakens and allows the compressed gas inside to escape. After the gas has leaked out, the extinguisher is unable to operate properly. If your fire extinguisher is nearing its expiration date, it's time to consider replacement. The last thing you want is to be caught in an emergency without a working extinguisher. We are happy to provide replacement fire extinguishers, along with metal extinguisher cabinets to customers located throughout the United States. In addition to our selection of indoor cabinets, our company offers a number of outdoor options. 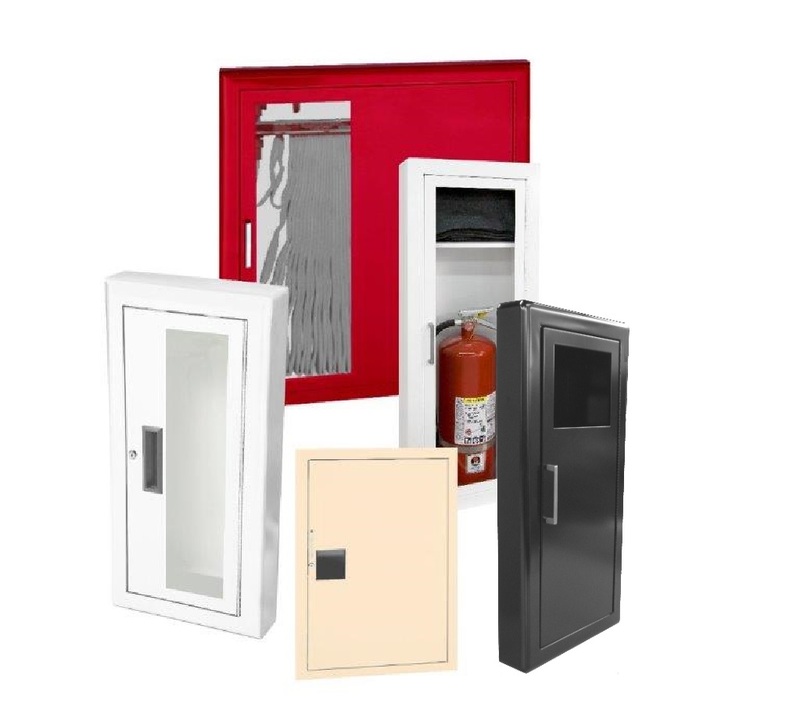 If you are in the market for an outdoor fire extinguisher cabinet, you can depend on us. We carry a range of different outdoor cabinets, ranging in size and price. Are you interested in learning more about the benefits of a fire extinguisher cabinet? Contact us today to speak directly with a member of our team. We are proud to serve customers throughout Maryland including Annapolis, Baltimore, Columbia, Glen Burnie, and Pasadena.